The Geary County Historical Society held an event at the Spring Valley Historic Site this past Saturday. The Commanding General's Color Guard from Fort Riley was there with a couple of horses doing a camp re-enactment. 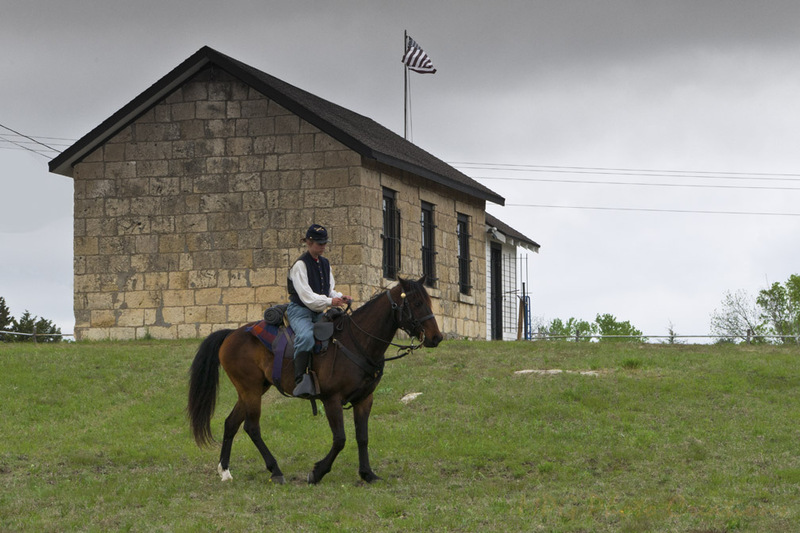 I got this image of one of the soldier's dressed in Civil War era uniform riding by the school house itself and thought it made for a nice photo with the flag waving.